A fun way to do party favors is to make the favors part of the decor by using them to spell out the reason for the celebration! 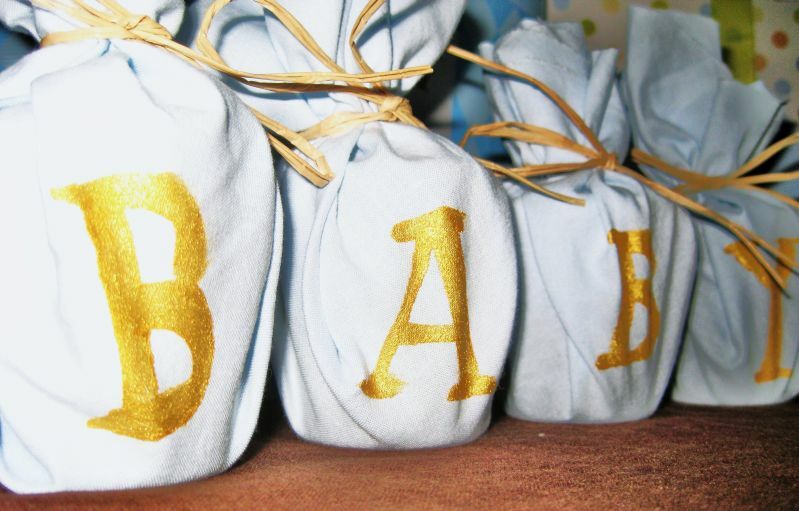 I made these favors for a baby shower (if that wasn't obvious). 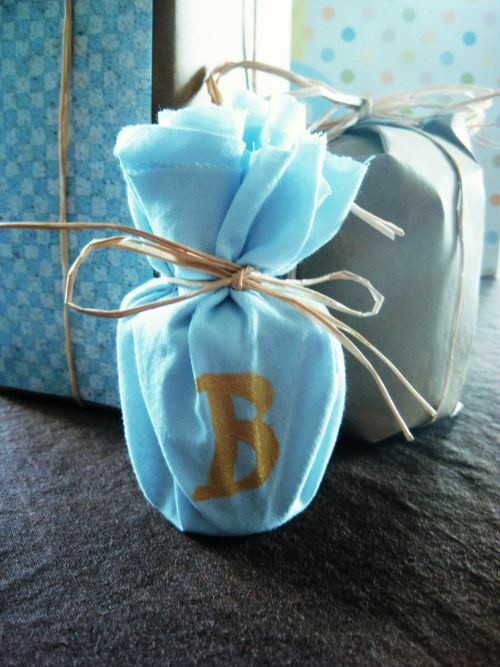 Each gift is associated with one letter so each guest can pick which letter they want. Monograms are all the rage now! Even if your name doesn't start with B, it's still cute. 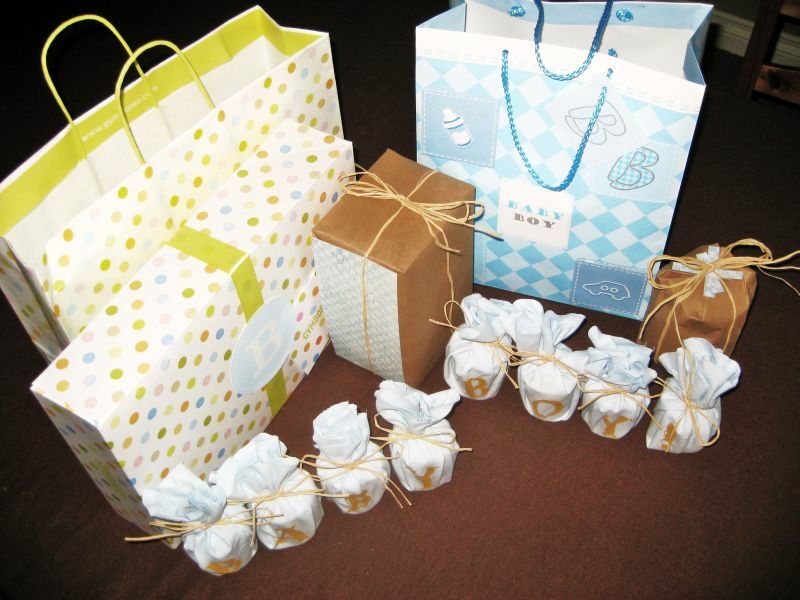 I also made a couple of brown-wrapped packages for game prizes. 1. Determine how large of a circle you need to wrap each favor. 2. Trace circles onto your fabric with white chalk or a pencil. 3. Cut out the circles carefully with fabric shears - they don't have to be perfect circles but the edges should be smooth, without notches or frays. 4. Steam press the fabric circles. 5. Wrap each favor by placing it in the center of a fabric circle, gathering up the edges and securing with a strand of raffia, tied with an overhand knot and then a simple bow. 6. Trim the edges of the raffia strand with scissors. 7. Hand-paint letters on the front of each favor with fabric paint. That's really cute. Great idea!